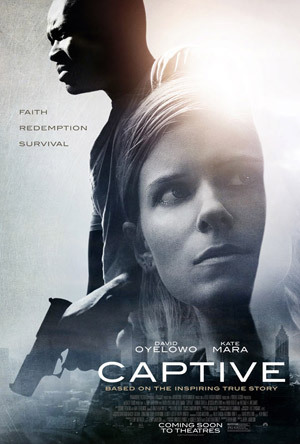 David Oyelowo, Kate Mara and Michael K. Williams star in the fact-based thriller Captive, based on the book Unlikely Angel: The Untold Story of the Atlanta Hostage Hero written by Ashley Smith with Stacey Mattingly. Watch the 'Captive' movie trailer below. A single mother struggling with drug addiction is randomly taken hostage in her own apartment by a man on the run from the law. MPAA Rating: PG-13 for mature thematic elements involving violence and substance abuse.